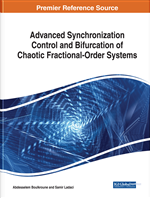 In this chapter, an adaptive control approach-based neural approximation is developed for a category of uncertain fractional-order systems with actuator nonlinearities and output constraints. First, to overcome the difficulties arising from the actuator nonlinearities and nonaffine structures, the mean value theorem is introduced. Second, to deal with the uncertain nonlinear dynamics, the unknown control directions and the output constraints, neural networks, smooth Nussbaum-type functions, and asymmetric barrier Lyapunov functions are employed, respectively. Moreover, for satisfactorily designing the control updating laws and to carry out the stability analysis of the overall closed-loop system, the Backstepping technique is used. The main advantage about this research is that (1) the number of parameters to be adapted is much reduced, (2) the tracking errors converge to zero, and (3) the output constraints are not transgressed. At last, simulation results demonstrate the feasibility of the newly presented design techniques. Over the last few decades, fractional order calculus has attracted increasing attention from control community (Chen et al., 2014; Fu et al., 2016; Gao et al., 2017; Lin &Lee, 2011; Liu et al., 2017; Tarasov, 2016; Zouari et al., 2017a). There are two major factors account for this (Chen et al.,2014; Lin &Lee, 2011). On one hand, many engineering plants and processes cannot be described concisely and precisely without the introduction of fractional order calculus (Liu et al., 2017; Tarasov, 2016; Zouari et al., 2017b). On the other hand, it has been proved that fractional order controllers have more potential advantages and design freedom than integer order controllers (Zouari et al., 2017b). Due to the great efforts devoted by researchers, a large volume of outcomes have been obtained on fractional order systems (Lin &Lee, 2011; Liu et al., 2017; Tarasov, 2016; Zouari et al., 2017b). For the details of the most recent advance, one can refer to some excellent monographs i.e., (Chen et al.,2014; Lin &Lee, 2011; Liu et al., 2017; Tarasov, 2016; Zouari et al., 2017b), and the references therein as well.